With 50% of adults having a form of periodontal disease (gum disease), you know that proper oral hygiene is vital to protecting the health of your gums. While brushing, flossing, and preventive dental appointments are critical to reducing the risk for the infection, there is another threat you may not know about. According to a recent study by the State University of New York at Buffalo, obesity significantly increases your risk for gum disease. With your overall well-being a top priority, your dentist in Bullard, Dr. Tad Morgan wants to help you reach your health goals. Although anyone can develop gum disease, your risk for the infection increases based on several factors, such as gender, age, and ethnicity. However, according to the new study by the State University of New York at Buffalo, your weight could be the leading risk factor for the infection. 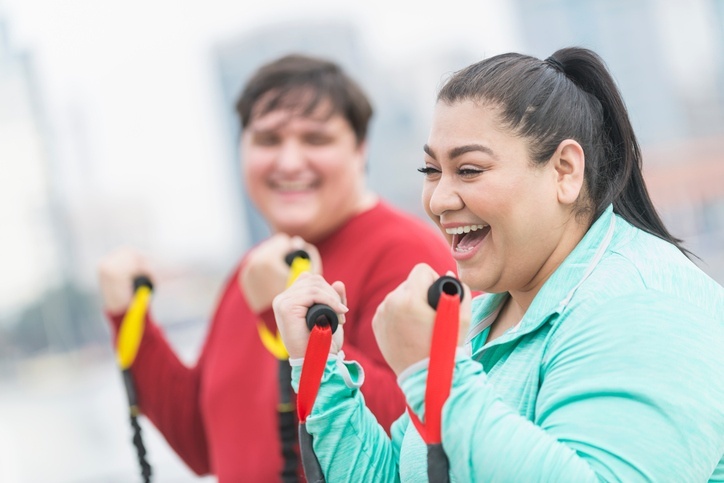 Using data from the third National Health and Nutrition Examination Survey, the researchers reviewed information pertaining to the height, weight, and other characteristics of the U.S. population. The data was collected from over 12,000 adults between the ages of 20 to 90 who did not suffer from diabetes. The results of the study found that 43% of those surveyed were overweight. Based on the information, researchers believe that insulin resistance changes the relationship between obesity and periodontal disease as those with the infection also have increased insulin resistance. Those who have a higher body mass index produce higher levels of cytokines, which cause systemic inflammation and insulin resistance. The increased stimulation and secretions of the cytokines (proteins released by specific cells) appear to increase the risk for diabetes and periodontal disease. If diabetes develops, it decreases the body’s ability to respond to periodontal therapy. As a result, the risk for the infection progressing to the later stages of the disease are increased. To reduce the risk for diabetes and gum disease, it is vital to maintain a heathy weight. In addition to eating a well-balanced diet and exercising to maintain your weight, take the time to care for your teeth and gums to reduce the risk for periodontal disease. It is best to brush your teeth at least twice a day for two minutes each session. Even with the best brushing techniques, you will still need to floss daily to make the most of your oral hygiene routine because your toothbrush cannot reach in between the teeth and around the gum line. If you do not floss these areas each day, plaque and tartar will accumulate, leading to gum disease. Your home oral habits also needs to be complimented with regular care from your dentist. With a cleaning and checkup twice a year, Dr. Morgan will keep plaque and tartar buildups to a minimum to prevent gum disease. A regular checkup will monitor the health of your gums to provide necessary treatment if the infection develops. If you need treatment for gum disease, Dr. Morgan can help. He offers the treatment and prevention you need to keep the gums healthy. Contact our office today to schedule a routine cleaning or an appointment for periodontal therapy.